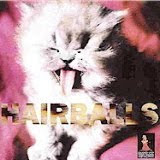 Believe it or not, today is National Hairball Awareness Day. Those of us with cats, all know that retching noise announcing an upcoming hairball. Strangely, hairballs always appear just when all the paper towels are gone. Not only are hairballs disgusting, they can also be dangerous to your pet. Some cats have actually died from choking on the swallowed fur. 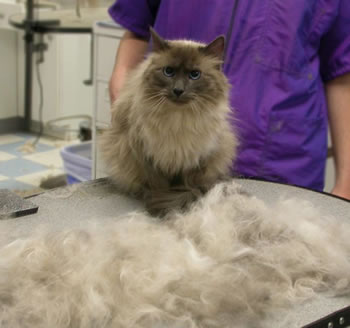 The best and easiest way to avoid hairballs is to brush your cat. 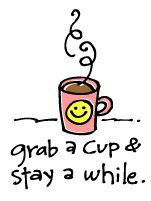 This can be daunting, but needs to be done. If your cat is like mine, the fur sheds, and sheds, and sheds, until amazement is expressed that Fluffy isn't bald. 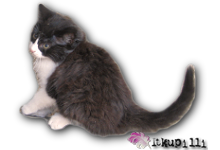 Another way to avoid hairballs is feeding special hairball reducing food. The high fiber in such food aids in the movement of fur blobs. I also understand canned pumpkin fed once or twice a week will have the same effect. The trick is getting your cat to eat it. Mine certainly won't. Providing plenty of water will keep your cat's system running smoothy. I'm partial to pet water fountains that provide a constantly moving stream like that outdoors. The moving water will attract your cat, and encourage the drinking of liquid. Lastly, make sure your cat gets enough exercise. Throw a purchased toy, or crumpled wad of paper, so your cat can chase it. A new puppy would work well too. Then again, maybe not! In any case, the best of luck with all hairballs. Here is Lily begging for a cookie. Though Lily is very hard to say "no" to, if she gets any rounder, she won't be able to stand up. One of the cats got on the kitchen counter and knocked a bag of treats to the floor. When I arrived, all that was left was a sad chewed bag and no treats. Lily looked about to burst. I wrote about Lily and her friends when I first started my blog. Though at the time, I couldn't get a picture of Gunther the cat (shy), and unfortunately neglected the bird, I've corrected that failure and now have photos of everyone. An antiqued picture of Raggie. He's half Rag Doll, and half Siamese, and so friendly he'd make a great entertainment director on a cruise ship. Ashes sporting all the white fur he leaves EVERYWHERE. I find so much white fur on his mother's green bedroom rug, it looks like a cat exploded and left nothing but its fur behind. I swear, when someone isn't shedding on the rug, they're coughing up hairballs on the bedspread. Yuck! Here is the elusive Gunther. Though I haven't seen Gunther during the past couple of visits, I know he's there because I find pee on the newspapers in front of the litter box. Not peeing in the litter box is one of Gunther's favorite things to do. I think he's also responsible for dragging the potholders and sponges all over the house. Bird the bird is waiting for his fresh seed. Bird, like Gunther, has a strong talent for making a big mess. This is one of several feral cats that live in the area. The overturned recycling bin is used to protect the food and water left out for them. Here's a little video in honor of Lily. Nothing makes me feel more helpless than my car malfunctioning. There I was, driving down the road, when suddenly I hear a scraping noise. "Is something wrong with my tire?" I said to myself. Pulling into a rather sad looking service station, I got out and saw my muffler flat on the ground. This was not the first time my muffler has found itself in such an inelegant position. A couple of years earlier, I was forced to park at a church when the very same muffler landed with a splat on the pavement. 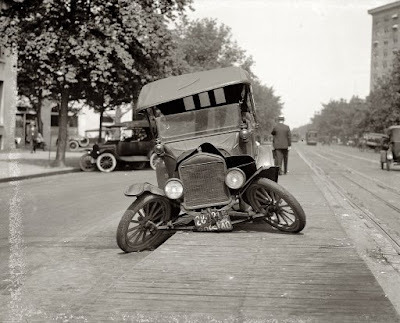 The trouble that time was a screw snapping off from age and general displeasure. At the church, a passing nun commiserated with me and offered to say a prayer. I thanked her. She also told me about her church and how nice the services were. I thanked her again. Clearly on a roll, she continued with news about her church's upcoming thrift sale. I thanked her a third time hoping she might leave and find something nunish to do. The nun finally walked off, allowing me to pull out my cell phone to call AAA. What happened last week was the same, minus the nun. The service station was an unlovely affair where Bob the Incredible Drunken Mechanic looked forward to ripping unfortunates off. In spite of that, no one came out to ask if I needed help with my injured muffler resting on their driveway. Fearing they would charge me outrageously, I chose not to ask Bob for help. Calling AAA, a nice lady asked if the station was a member of their company. I said I didn't think so as I saw no sign, and it didn't look very Triple A like to me. It looked more one A to me, or quite possibly two As, but not three As. She contacted a towing service to care for my problem. Since the last time my muffler collapsed, the towing guy wired my muffler up enabling me to visit my own mechanic, I told the nice lady I wanted the same thing done this time. She said "No problem!" About 20 minutes later, a young man with a disturbingly surly attitude arrived to wire my car. For one so young, and already so surly, the future didn't bode well for his middle age disposition. He asked why I thought my car wouldn't start. I said my car started fine, I needed my muffler wired. Expressing great annoyance, he sputtered that no one told HIM that! He continued to say all he had was some duck tape and a bungee cord and both would melt from the heat of my muffler. I went into the unlovely service station, and asked if they had any wire. By this time, I thought I should carry wire with me and fix the damn thing myself. Acquiring the wire, I gave it to Young Surly, who reattached my muffler in such a remarkably wobbly fashion I expected it to fall off again. Happily, I managed the drive to my mechanic and had a new strap installed before I lost my muffler altogether. Since first the screw broke, and then the strap, I'm sure the next thing to go will be the muffler itself. Perhaps I should carry a spare muffler in my trunk! It would save me a good deal of grief. Here is a video about a squirrel protecting its dead friend from crows. The music lends a lot to the mood. I hope this isn't too sad, but I liked how it portrayed animals caring about others just as humans can. This handsome devil is named Rex. He's a former homeless fellow who came from a hound rescue somewhere in the South. He now lives in Rhode Island with his doctor parents, and a brand new little brother of the two legged variety. Rex would be the perfect dog but for one small problem. He gets VERY excited about other dogs. Just THINKING about another dog gets Rex excited. When meeting a dog while walking, Rex spins, whines and tries to eat his leash. Inside the house, he's been known to chew window blinds to bits in a frenzy of enthusiasm. Though dog trainers have been hired, nothing seems to help Rex's unfortunate obsession. Though to be honest, I think he's gotten a bit better in the spinning and leash eating department. Maybe all Rex needs is time to mature. He's only a young guy after all. 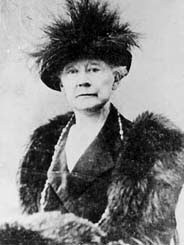 This is a photo of the American Impressionist painter Mary Cassatt. I can't tell you much about her, as I'm extremely ignorant and basically know nothing. However, I do know she was born in Allegheny, Pennsylvania from a well placed family of bankers (mother's family) and a stockbroker father. 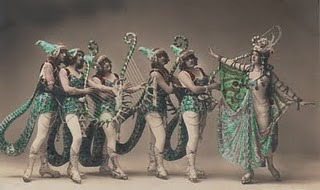 Much to the dismay of her family, she chose to become a professional artist, and at the youthful age of 15, attended the Pennsylvania Academy of the Fine Arts. 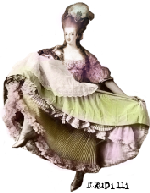 She moved to Paris in the year 1866. I remember reading somewhere she was prone to violent sea sickness, a problem that limited her traveling between countries. She became friends with the French artist Edgar Degas, who encouraged her to join the Impressionist movement. She was also very fond of little dogs. Especially Brussels Griffons. 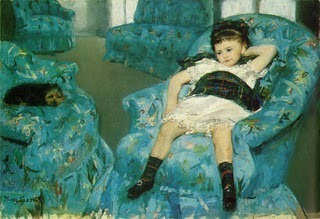 Little Girl in a Blue Armchair by Mary Cassatt, 1878. I like this picture. I like the colors and the way the little girl is slouched in the chair. The small dog sleeping is one of Cassatt's Brussel Griffons. 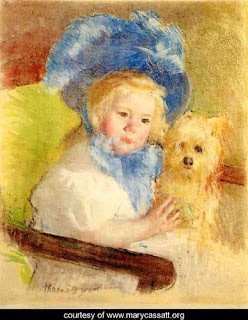 I seem to recall a story about one of Cassatt's dogs getting away and never being found. She was so upset that Degas (no great dog lover) found a breeder of Griffins and bought her a new one. I may be imagining that story. I do that sometimes. Degas also worked a bit on this painting. He either painted part of one chair, or the rug and curtains. I'm not sure exactly, as it depends on which expert you refer to. 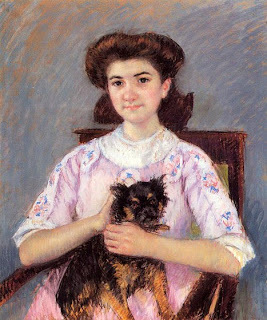 Sara with her Dog in an Armchair by Mary Cassatt, 1901. This may not be a Brussels Griffon, but I included it because the little girl is cute. I made a small effort to learn who Sara was, but without any success. Maybe someone who reads this could tell me. Portrait of Marie Louise Durand Ruel by Mary Cassatt, 1911. That certainly looks like a Brussels Griffon to me. Though I know nothing about Ms. Ruel, she has a sweet face and looks like a pleasant person. 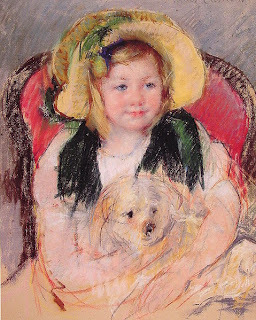 Simone in a Large Plumed Hat Seated Holding a Griffon Dog by Mary Cassatt. 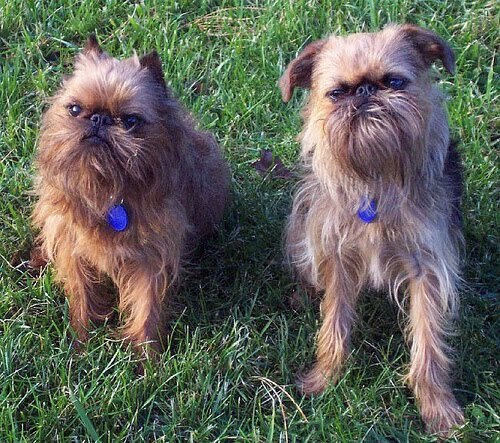 Maybe that was a Brussels Griffon Sara was holding. I think it's a shame people don't wear hats the way they used to. 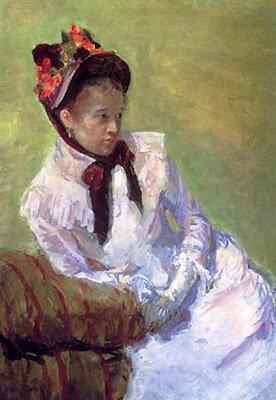 Self Portrait of Mary Cassatt, 1878. Apparently, Cassatt was not considered attractive by some people. I think she looks quite pretty in this picture. Well, I'm all pooped now. Thank you for tolerating my uninformed ramblings. 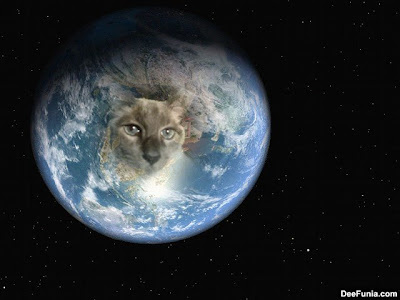 Madison wishes you a Happy Earth Day! This familiar face belongs to Apatchy. I wrote about Apatchy in a previous post recounting the loss of his Springer Spaniel sister, Sophia. 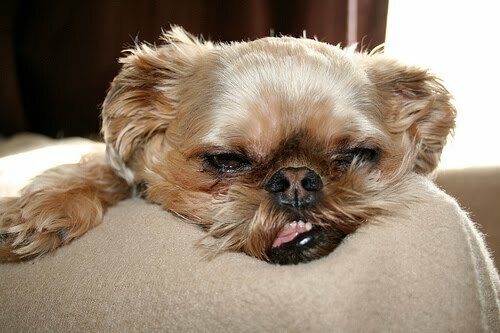 Much to Apatchy's dismay, his stint as an only dog didn't last very long. He is now the not so proud big brother of Magoo, a youthful and energetic Golden Retriever puppy who just won't stop no matter what. I'm required to keep "the boys" separate to avoid crabby moments. When left alone, Magoo stays in his special crate, so Apatchy won't loose his mind. I love the way Apatchy crosses his legs all dainty. Magoo's looking a bit guilty about something. Yikes! There's a stuffed bear on the balcony! I'm not quite sure what to say about the bear, except it does look fierce in a bear sort of way. This is Charles, a wandering feline who traveled all the way from New Mexico to Chicago. He disappeared eight months ago, while human "mom" Robin Alex was away volunteering for Habitat for Humanity. Fortunately, thanks to a micochip, Charles' mom was informed of his whereabouts. Being found wasn't the end of poor Charles' trouble though. Chicago Animal Care and Control, where Charles was held, informed Robin Alex her pet faced euthanasia if not collected in three days. Since the cost of traveling to Chicago was unaffordable, it seemed owner and pet would not be reunited and Charles euthanized by the shelter. This is when good Samaritan Lucien Sims offered to rescue Charles while in Chicago for a wedding. An Australian living in New Mexico, Sims felt partial to Charles, as his own cat strikingly resembles him. 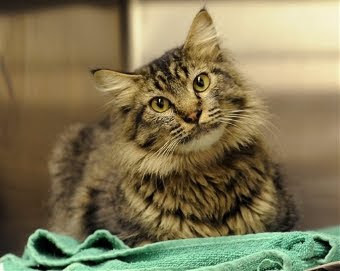 Making many calls, Sims arranged a free flight for Charles from American Airlines, and even acquired a donated cat carrier from a New Mexico business. In spite of his long journey, Charles is in good condition, with a small cold and in major need of a bath. Fasa is gazing very intently at something he sees on the ceiling. Though I looked carefully, I couldn't spot what caught his eye. My cat Madison was once fascinated by a water stain on the ceiling of a former apartment. He'd sit on the back of the recliner and spit at it fiercely. That's Valentine in the back. He has no idea what Fasa is looking at either. Here's a nice close picture of Valentine. The last time I sat Valentine, he kept running from the camera. Fortunately, he's gotten used to my picture taking quirks, and now tolerates me with a bemused patience. The glamour boy Fasa. Since his long fur will be shaved down soon, we'll learn just how chubby he truly is. There's quite a lot of cat under all that fur! Baba the turtle. Baba shares his tank with many tiny guppies. Unlike his brother Bella, he does not eat the guppies. In a sudden fit of creativity, I added a fancy film border on Baba and Bella's picture. I've been having a lot of creative fits lately! I must be overdosing on B vitamins again. Though he has a girl's name, Bella is really a boy. Everyone thought he was a girl at first, but it turned out otherwise. He and Baba live in separate tanks since Bella tends to attack poor Baba. If supplied with guppies, he'll eat them all up in no time. This pretty little cat is named Sophia. I sat Sophia, and her sister Halley, last week while their family was on vacation. Though a good deal smaller than Halley, she always has first pickings at the food bowls. While she eats, poor Halley is forced to wait patiently for her turn. This is interesting, since it used to be the other way around. Cats are a mystery. Here's Halley. She's wondering what happened to her Top Cat position in the family. In a sudden artistic fit, I doctored up the a couple of pictures to look antique. When the family returned from their vacation, they had to call me, as the airport lost their luggage, and their door key was in one of the lost bags. I locked myself out of my apartment once, so I know what it feels like. The maintenance man came with a huge ring of master keys, none of which worked in my locks. He had to drill a hole in my door to get me in. It was kind of funny in a annoying sort of way. 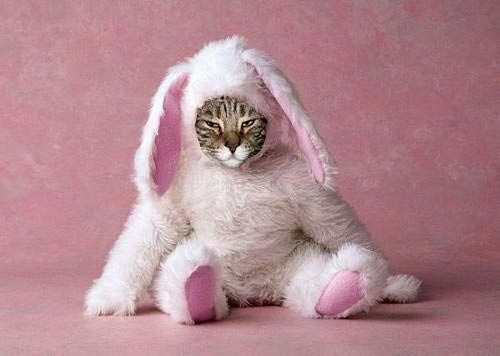 Since this is Easter Monday, and it IS a religous holiday, I wanted to include something suitably devout. 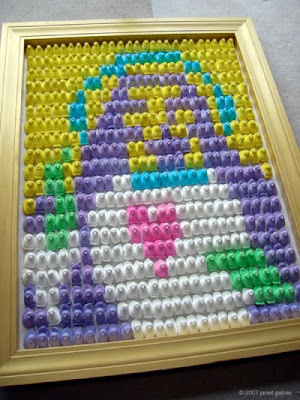 So with that in mind, I'm posting this lovely picture of Jesus made entirely out of Peeps. 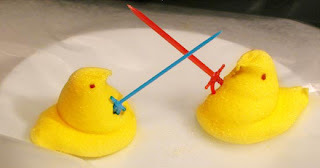 It's a masterpiece of pure sugar and tooth decay. 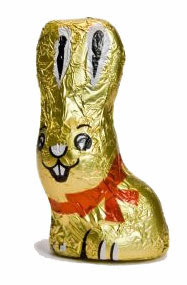 Chocolate makes life worth living. 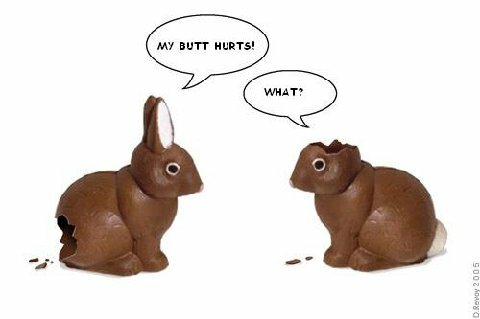 I always bite off the ears first myself.